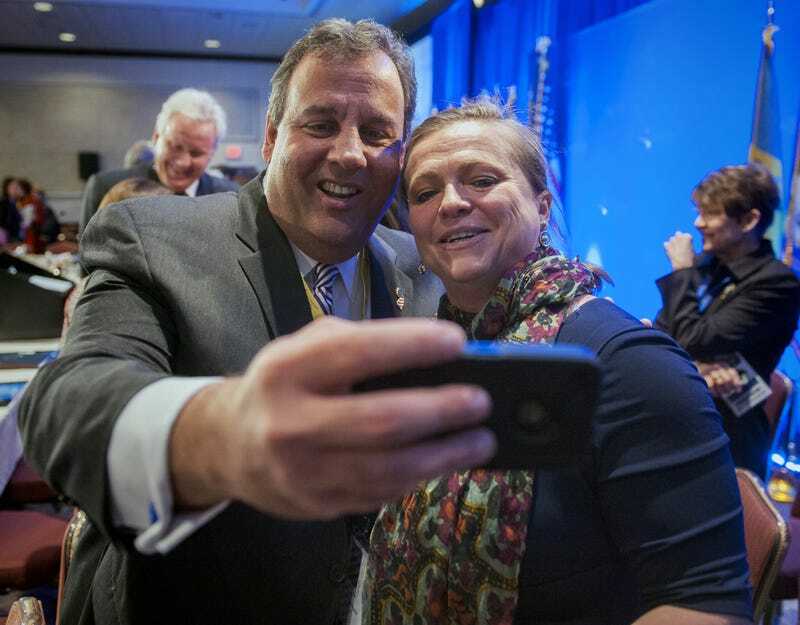 Uh, Did Chris Christie Forget About the Time He Deleted Bridgegate Text Messages? Ah, 2013. A simpler time. Donald Trump was still an orange reality show host! It seems like so long ago. And apparently it was long ago enough that New Jersey governor and ardent Springsteen stan Chris Christie doesn’t remember the details of his worst political scandal. Christie made the same comparison on CNBC in May, arguing that the media’s treatment of Clinton was biased in her favor and that he would’ve been excoriated far harsher for a similar scandal. This comparison is bizarre. It’s bad politics for Christie to voluntarily draw attention to “the bridge investigation”—aka Bridgegate—aka the time Christie’s team deliberately caused a traffic jam for political gain. It’s one of the most flagrant embarrassments of his career. It’d make more sense if Christie never even uttered the word “bridge” again, but aside from that, arguing that he’d be pilloried for deleting digital communications related to Bridgegate is a weirdo move for Christie because his team did delete digital communications related to Bridgegate. Christie and a top aide deleted 12 text messages exchanged on the day of a legislative hearing into the bridge—the beginning of an investigation that yielded resignations from his staff, indictments of government officials close to Christie, and a guilty plea from a Port Authority ally. Sounds an awful lot like “trust me none of it had to do with the bridge,” no? Christie (whose campaign slogan is “Telling It Like It Is”) has already neglected to tell it like it was so far on the campaign trail— in the first GOP debate, he claimed to have been appointed US attorney the day before September 11, 2001, when in fact he was appointed US attorney in early 2002. Here, he’s not outright lying, but he is toeing the line between cagey and fake about the circumstances of his own scandal, drawing comparisons that make no damn sense for anyone who remembers recent history. Or maybe he just plumb forgot?